Gum disease is an infection of the tissues that surround and support your teeth. It is a major cause of tooth loss in adults. Because gum disease is usually painless, you may not be aware that you have it, but if left untreated it can gradually become a worsening condition that deteriorates the tissue and bone that support teeth, eventually leading to tooth loss. However, tooth loss is not the only possible problem posed by periodontal disease. Research has shown that there is a link between periodontal disease and cardiovascular disease. (Heart disease and stroke). High stress may also be linked to periodontal disease. 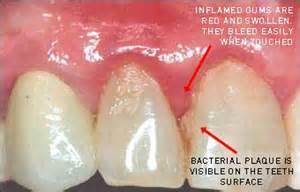 Not to mention increased sensitivity and unsightly tartar around inflamed, puffy gums. Gum disease is caused by plaque, a sticky film of bacteria that is constantly forming on teeth. Plaque contains bacteria that irritate and inflame the gums. Thorough and consistent oral hygiene removes plaque that accumulates around the teeth and gums, However, if plaque says on teeth it can harden and build up in and around the gums. Once plaque hardens, only a dental professional can remove the tartar that accumulates in the gums. Inflamed gums can pull away from the teeth forming spaces called pockets. Once the gum recedes, the tooth’s roots may become exposed leaving the patient with increased sensitivity to temperature changes and touch. Bacteria can accumulate in these pockets and worsen the condition. When inflammation or infection of the gums is allowed to progress without treatment, the infection can spread from the gums to the ligaments and bone that support the teeth eventually leading to tooth loss. Treatment depends on the type and severity of the disease. If caught early, and no damage has been done to the bone or supporting structures under the teeth, your dentist may do a simple cleaning. With a more severe periodontal disease a deep cleaning or scaling and root planing may be needed. In this treatment, the dentist will remove all tartar accumulated under the gums and smooth the tooth’s root surfaces so that the surrounding gum tissue can regenerate around it. Your dentist may also prescribe medicines to help control infections and pain. These medicines can be orally administered, in the form of pills, moth rinse or they can be directly applied to the affected area by a dentist. 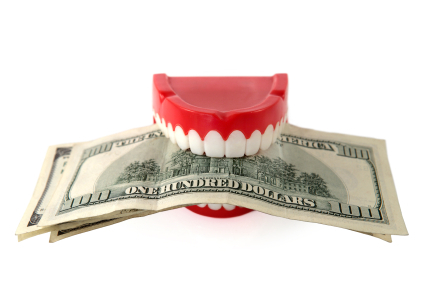 A referral to a periodontist, ( a gum specialist) may be given. In very severe cases of advanced periodontal disease, surgery may be an option. Regular dental check ups and good oral hygiene are key to maintain healthy gum and overall dental health. Smoking can exacerbate existing conditions or it may be the cause of gingivitis. You don’t have to loose teeth to periodontal disease. Brush, keep up with oral hygiene habits, eat a balanced diet and schedule regular dental visits for a lifetime of healthy smiles.